The white lanyard of the Vasco presents details with the name and badge of the club throughout the piece. It has on the tip a ring and a practical metal clasp to carry badge, mug, keys, among other objects that you want. More info. 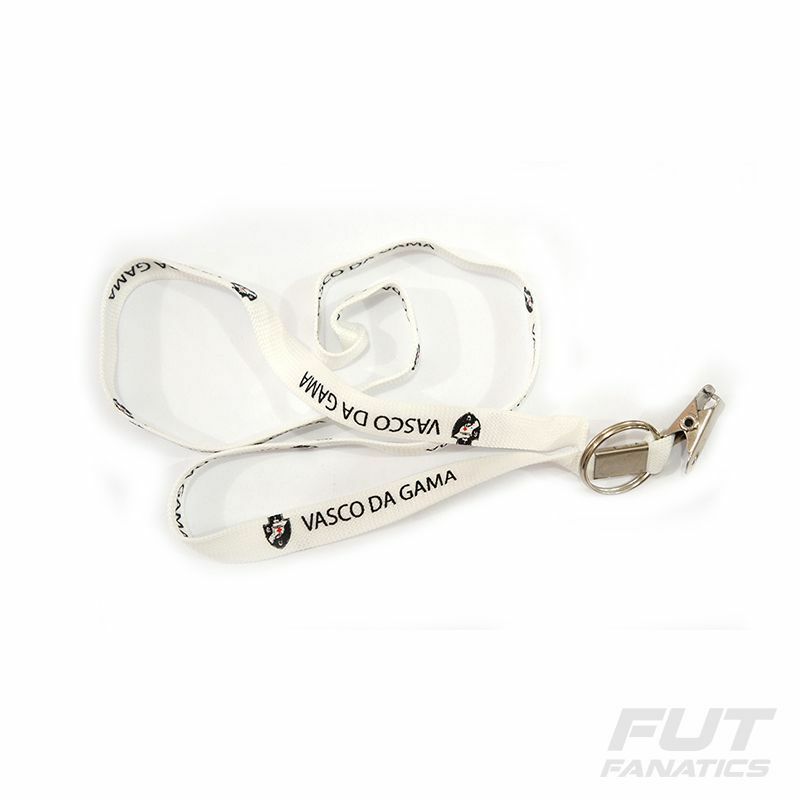 The white lanyard of the Vasco presents details with the name and badge of the club throughout the piece. It has on the tip a ring and a practical metal clasp to carry badge, mug, keys, among other objects that you want.